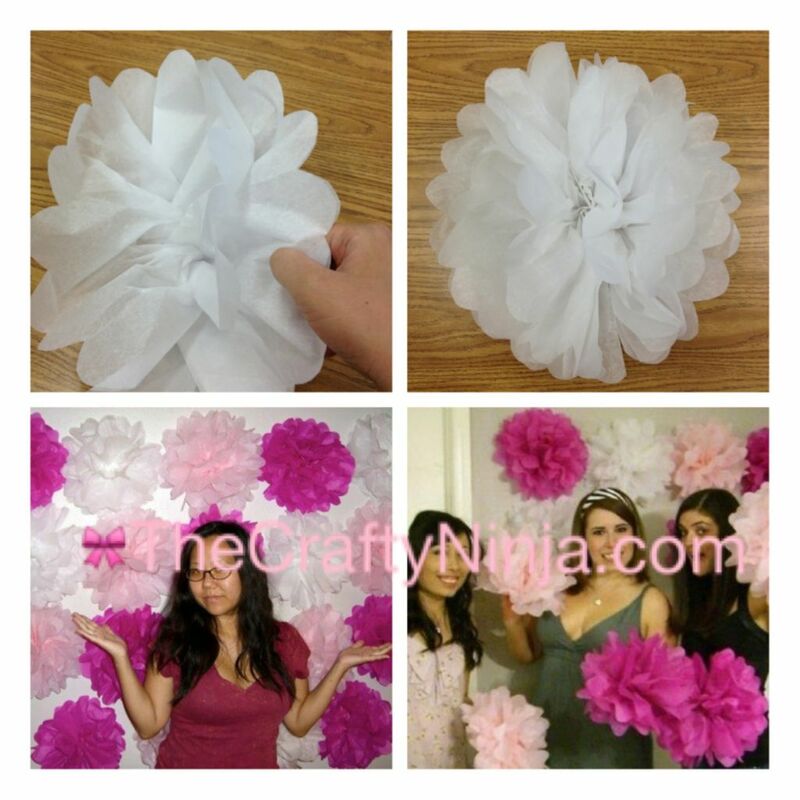 I create these Pom Pom Tissue Flowers for a photo wall at my birthday party several months ago and decided I should share this simple tutorial. 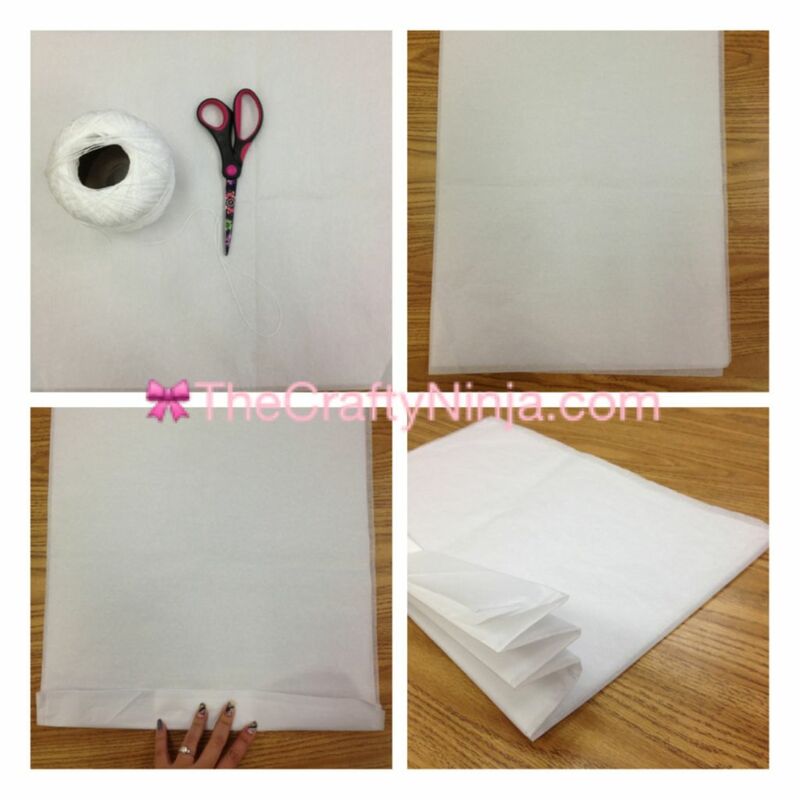 Supplies: 2- 30×20 Tissue Paper, Scissors, Yarn, and Pencil. 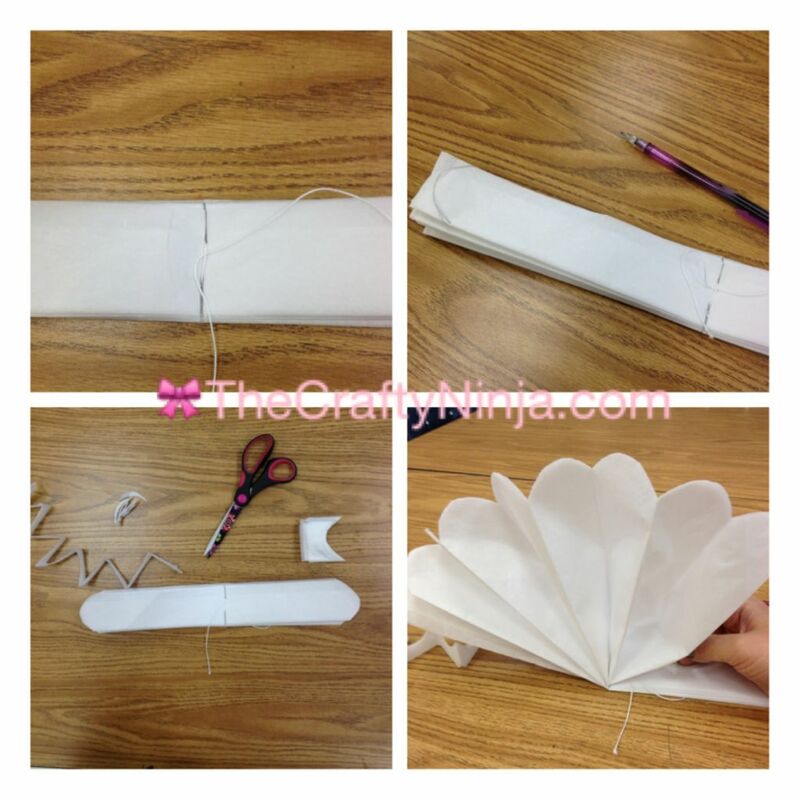 Layer the two pieces of tissue paper and fold in half, if you want a fuller flower you can use more tissue paper, I only did half flowers because I attached them to the wall. Fold in an accordion fold aka paper fan fold. 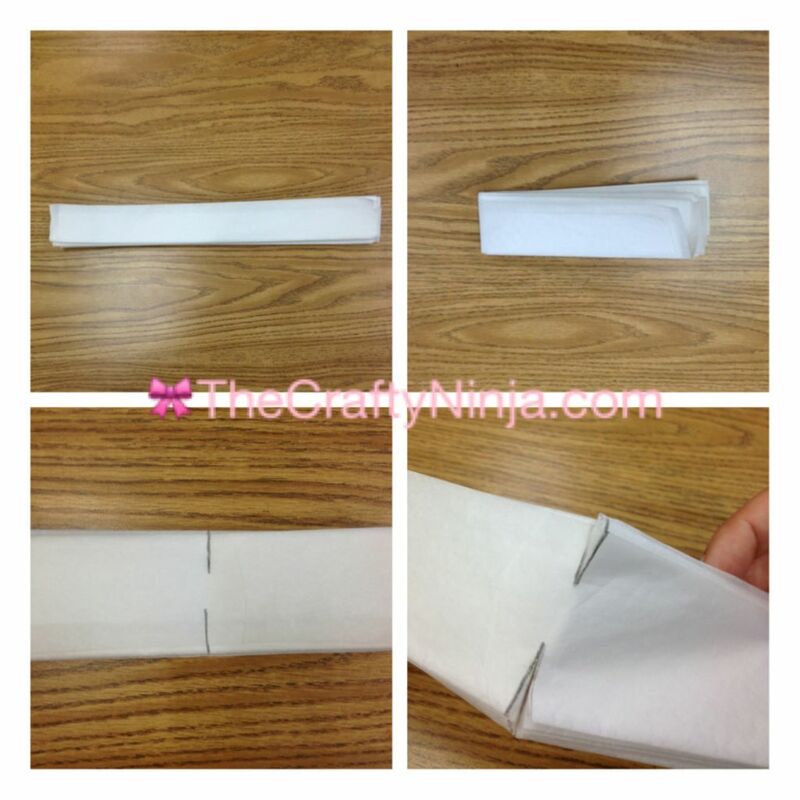 Fold in half to find the middle. Use a pencil to mark where to cut, be sure to leave space in the middle and do not cut all the way across. Tie the yarn in the middle. If you want to hang these from the ceiling cut the yarn longer. Draw a half circle on both ends and cut. Separate the tissue petals and this will start forming the flower shape. I used a pattern of hot pink, white, and light pink tissue paper for my photo wall and gave them away as party favors at the end of the night. My friends seem to enjoy them as cheer pom poms. Go team!